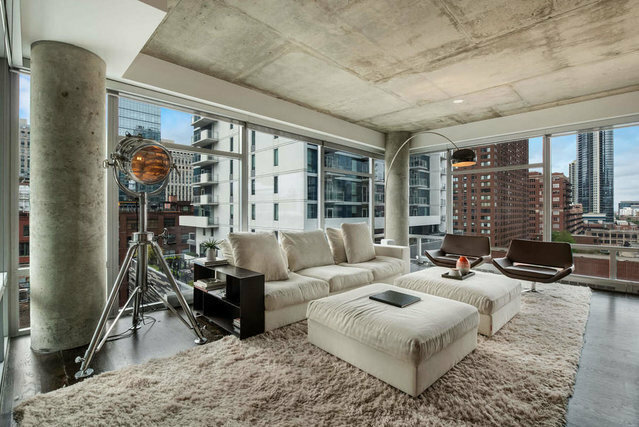 Stunning 3 bed/3 bath condo in River North's prestigious Contemporaine! Entertainer's dream kitchen with high-end appliances including Subzero, Viking, Miele, Balthaup, huge center island and beautiful custom cabinetry. Floor to ceiling windows showcase the unbeatable urban views from every room. Master suite is an oasis with private balcony, large dressing room, huge bath with separate tub, shower and dual vanity. Two additional generously sized bedrooms and full bathrooms featuring travertine, limestone, Grohe and Dornbracht fixtures in all baths. Side-by-side washer and dryer, 3 total balconies, California Closets, and dark hardwood floors complete this one of a kind condo in the sky! 2 parking spots available - Incredible value.